Objective: Given a binary tree, find the height of a given node in the tree. 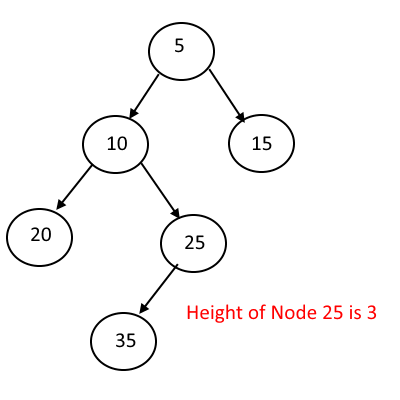 Output: Height of a given node in the tree. Take a variable called height =0. Search for that given node in the tree using recursion. Each time you left or right , increase the height by 1. Once you found the given node, return the height. Next story Find whether if a Given Binary Tree is Balanced? 246 queries in 0.138 seconds.